On this twelve-day tour you will see Sacred sites, exquisite art and architecture, breathtaking landscapes, and historical cities. 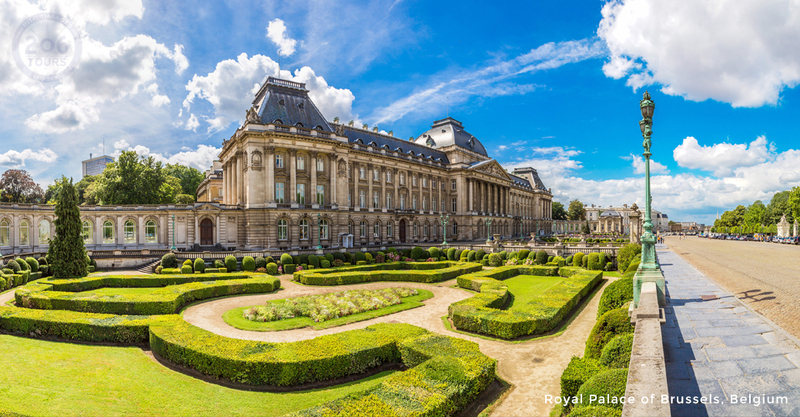 Upon arriving in the Netherlands you will visit Amsterdam, then you will continue to Belgium visiting Ghent, Bruges, Beauraing, and Banneux. 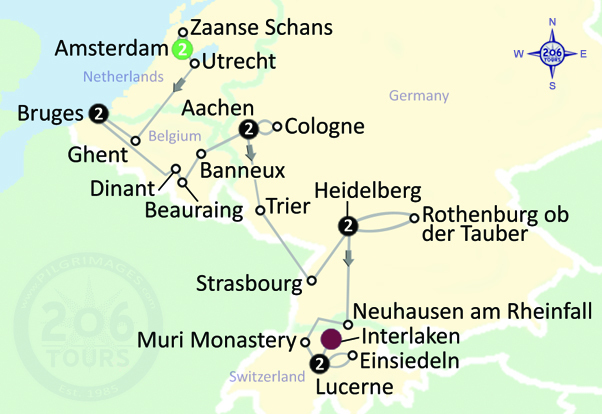 In Germany you will tour Aachen, Kevelaer, Echt, Cologne, Trier, Strasbourg, Interlaken, Einsiedeln, Lucern, Berne and Geneva. Upon landing into Amsterdam airport, make your way to the baggage claim area and collect your luggage. Proceed to the arrival's hall, where you will be greeted by your tour guide and/or driver. Transfer to your hotel. This afternoon we will visit the Chapel of our Lady of All Nations, one of the Virgin Mary’s apparition sites. In 1945 until 1959, Our Lady appeared to Ida Peerdeman with the continuous message of love and repentance and, the prayer for Nations. Following Mass we will visit the site of a Eucharistic Miracle. In 1345, as a result of a man's illness, a Sacred Host was found preserved in his house after it was moved numerous times and after having experienced a fire that left the city in ruins. Return to the hotel for dinner and overnight in Amsterdam. Following breakfast, you will board the motor coach to head to Beaurin. We will make a stop in Dinant, a charming town located below steep limestone rocks, crowned by a mighty citadel to have lunch on your own. 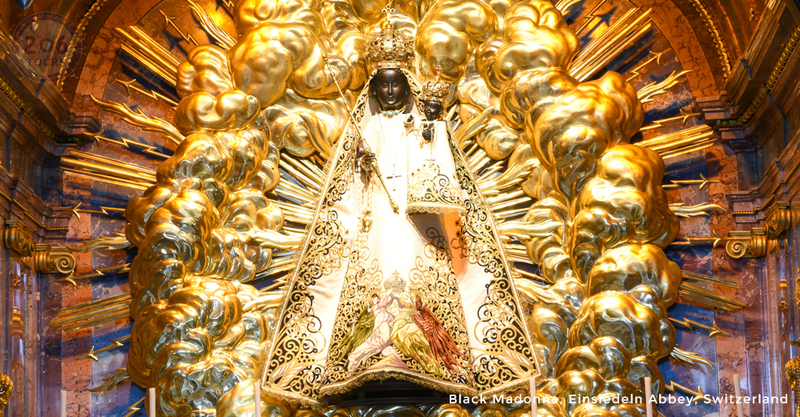 We will continue to visit the Shrine of Our Lady of Beauraing, also known as, the Virgin of the Golden Heart. In 1932, the Blessed Mother appeared to a group of young children thirty-three times. She was described as being dressed in white with a golden crown on her head with hair of gold. Our Lady came to these children during the Great Depression and advised them to sacrifice themselves to Her. Continue on to Banneux - Notre Dame, also known as, the Belgian Lourdes. Upon arrival, you will visit the Shrine of Our Lady of Banneux. In 1933, the Blessed Mother appeared to twelve-year-old Mariette Boco as the "Virgin of the Poor". Our Lady appeared to little Mariette a few times and informed her that she (Our Lady) has come to relieve the suffering of the ill and the conflicts of all nations. Continue to Aachen for dinner and an overnight. 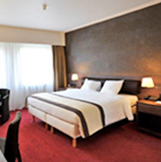 Today, you will enjoy a short sightseeing tour of the village of Aachen! We will attend Mass at the Aachen Cathedral, a Gothic Marian Shrine. 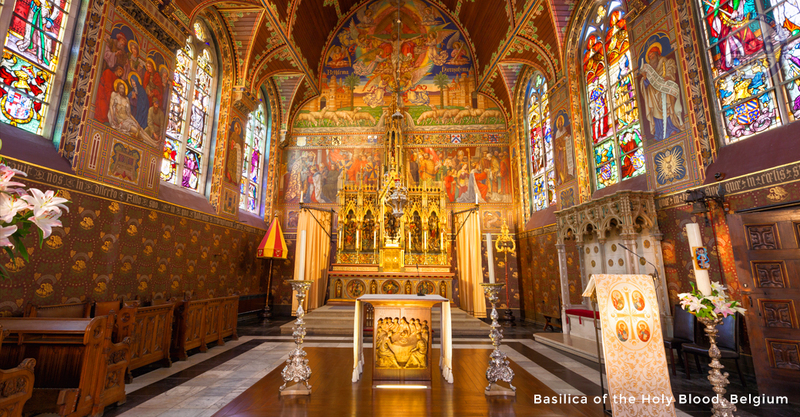 The Church is the oldest of Germany and contains numerous treasures such as Jesus' swaddling clothes, the Lord's loin cloth, the Blessed Virgin's Cloak and, the cloth used for St. John the Baptist's head. Additionally, you will have the opportunity to venerate the miraculous fourteenth century statue of the Blessed Virgin. 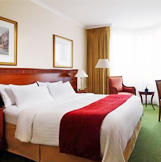 Later, you will depart for Cologne where you will enjoy another sightseeing tour! Cologne was originally founded and established by the Romans in 50 A.D. When this city received relics of the Three Magi in 1194, it gained importance as a pilgrimage center. While in this city, you will have the opportunity to visit the magnificent Gothic Cathedral, "the Kolner Dom" that houses the relics. Following this visit, you will learn about the two thousand years of history to which this Rhineland city is accompanied by. In the Middle Ages, the city of Cologne served and flourished as one of the major trade routes between Eastern and Western Europe. 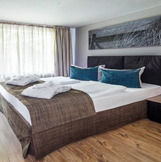 Return to Aachen for a wonderful meal and an overnight. After breakfast, will drive to Trier, the oldest city in Germany. It is situated in the Mosel wine region, and was founded before the year 16 B.C. Trier is known for its well-preserved Roman and medieval buildings, all of which you will visit during your time in this ancient city. The Porta Nigra is the only one of four Roman gates that still stands and was formally the home to a hermit monk named Simeon. Additionally, the Roman amphitheater and baths were places of relaxation for the ancient monks. Lastly, the style and size of the Constantine Basilica (Aula Palatina) truly exemplifies the strength and power that the Roman Emperor had in ancient times. We will celebrate Mass at the Trier Cathedral, followed by free time for lunch. Continue with a visit of Trier Cathedral , which not only contains a remarkable collection of artwork, but is also home to the Holy Robe that Our Lord Jesus Christ wore during the Crucifixion (Like the Shroud of Turin - it is very fragile, and is only displayed every 10 - 15 years). Lastly, visit the Liebfrauenkirche, one of the first Gothic churches in Germany and is located near the burial site of the Saint who replaced Judas Iscariot, St. Matthias. Proceed to Heidelberg for check in followed by dinner and overnight. Following breakfast at the hotel, we will start your day with a tour of Heidelberg. Visit the Old Town dominated by the ruins of Heidelberg Castle. See marketplace with the Town Hall, the Church of the Holy Spirit located nearby and have a walk on the main street. Admire the panoramic view of the city passing by the Old Bridge to the other banks of river. We will celebrate Mass at the local church, followed by free time for lunch. Proceed to Rothenburg ob der Tauber, In Rothenburg we will see picturesque lanes, half-timbered houses and an intact fortification wall that will give you a good idea what a medieval town looked like nearly 1000 years ago. Walk around the city on top of the wall to enjoy the stunning views over the old town. Return to Heidelberg for dinner and overnight. This morning after breakfast we depart for Neuhausen am Rheinfall for a boat trip where you will see the great spectacle of the Rhine Falls. After free time for lunch we will transfer to the Benedictine monastery of Muri, one of the most significant cultural monuments in the Canton of Aargau. It was founded in 1027 by Ita of Lorraine and her husband, Count Radbot of Habsburg. See the Romanesque crypt, the Gothic raised choir and the central octagon in Baroque style bear witness to the continuation of architectural alteration, renewal and addition throughout the ages. Celebrate Mass at Muri Monastery. Continue to Lucerne for dinner and overnight. Today we will start with a guided tour of Lucerne. 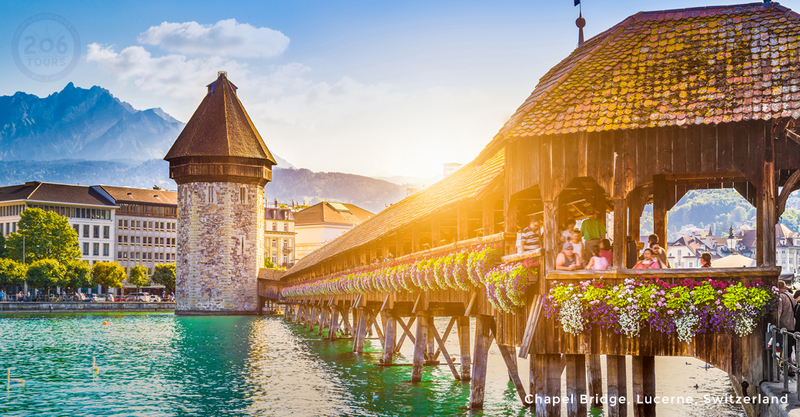 This central Switzerland city is known for its miraculous views of Mt. Pilatus and Rigi in the Swiss Alps. 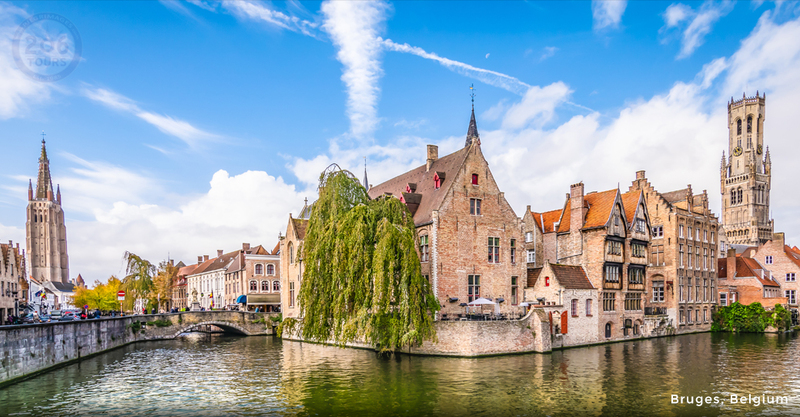 While in this breathtaking city, you will view from the outside the wooden Chapel Bridge that was first erected in the fourteenth century. This afternoon enjoy a scenic ride along Lake Lucerne and Lake Zug to Einsiedeln. Upon arrival, celebrate Mass at Einsiedeln Abbey. 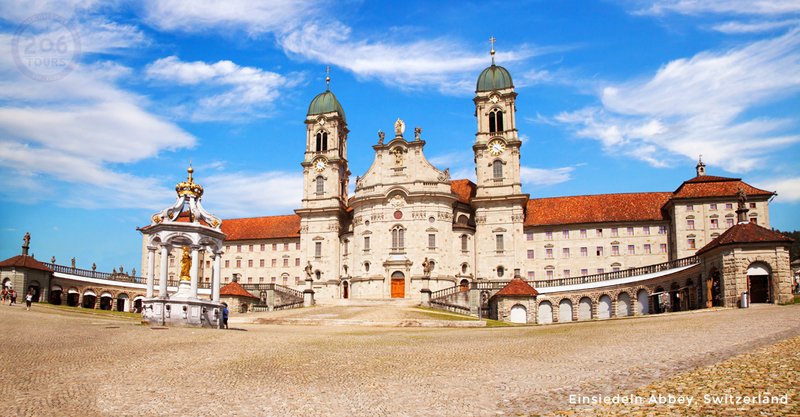 Visit the Benedictine Monastery of Einsiedeln dedicated to Our Lady of the Hermits. The abbey received this dedication due to its first inhabitant of the region around the year 850 A.D, a monk named Meinrad (St. Meinrad). This evening, you will return to your hotel in Lucerne. 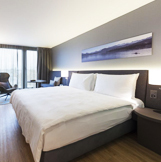 Enjoy a Farewell dinner and overnight at the hotel in Lucerne. After an early breakfast and heartfelt farewells, transfer to the Zurich airport for return flights home. 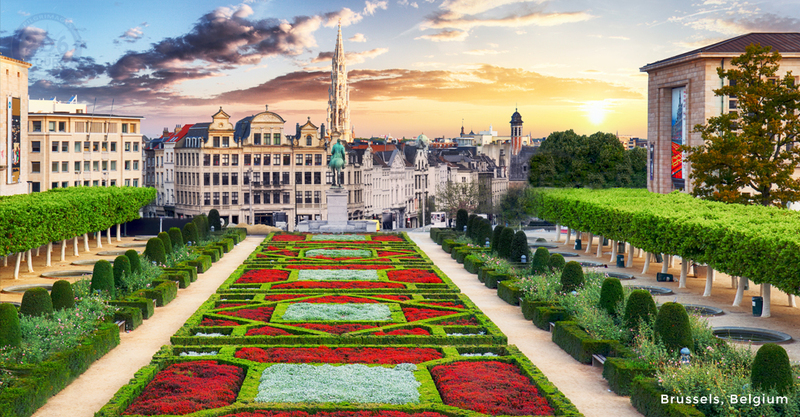 On this twelve-day tour through Europe you will see sacred sites, exquisite art and architecture, breathtaking landscapes, and historical cities. 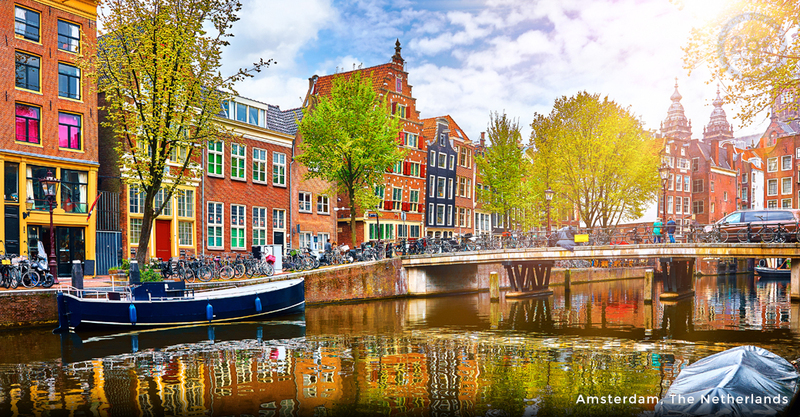 Take a walking tour of Amsterdam’s seventeenth century historical and picturesque atmosphere amongst canals and see the Royal Place, the Flower Market and the site of the Virgin Mary’s apparitions at the Chapel of Our Lady of All Nations. 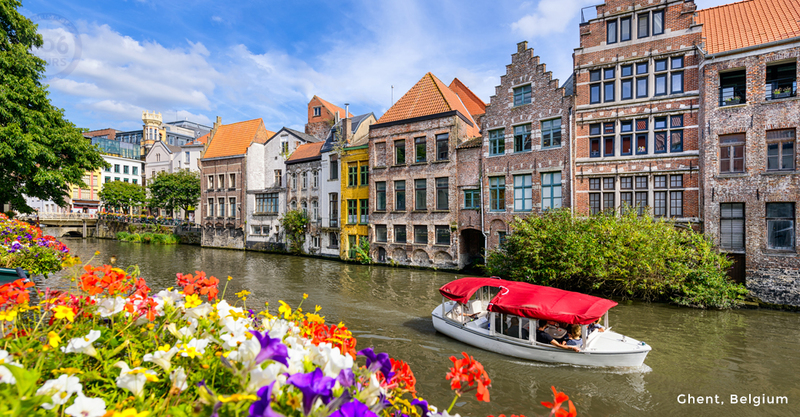 In Ghent, Belgium you will view the famous painting, “Adoration of the Mystic Lamb”, and in Bruges you will see “Madonna and her Child” sculpted by Michaelangelo. 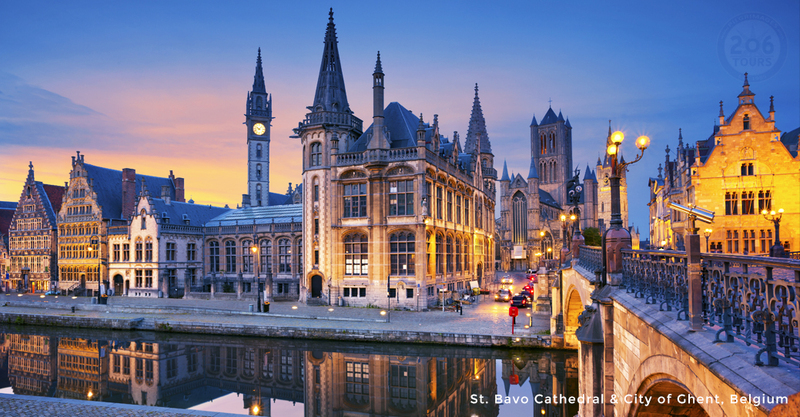 You will visit Holy places like, the Shrine of Our Lady of Beauraing, the Shrine of our Lady of Banneux, the Shrine of Kevelaer, and Aachen Cathedral. 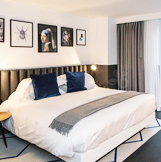 You will also visit Trier, the oldest city in Germany, the Starbourg Catedral de Notre Dame, Lake Lucerne and Lake Zug, Chapel Bridge, and the cities of Berne and Geneva regarded for their quality of life and financial wellnesss.